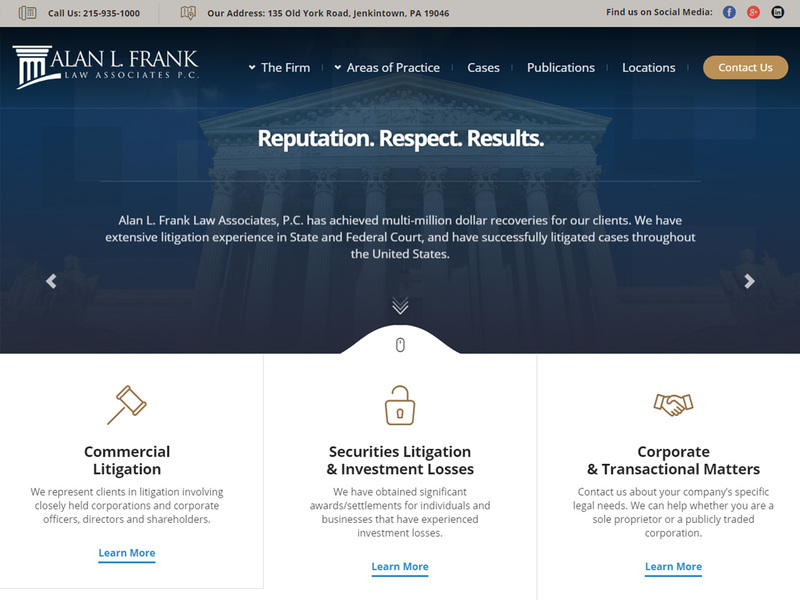 Alan L. Frank Law Associates, P.C. is a full service law firm representing individuals and business entities in a wide range of legal matters. The firm has extensive litigation experience in State and Federal Court and in arbitration forums, and has successfully litigated cases in the Tri-State region and throughout the United States. 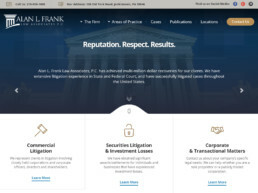 ClientAlan L. Frank Law Associates, P.C. ServicesGoogle Adwords, Lead Generation, Web & Infrastructure Hosting, Web Design, Web Development, Marketing Strategy, Branding, Search Engine Optimization, Social Media Marketing, and more.